Vintage 1980s Flora Danica by Royal Doulton Swank Splash Manufacturer's Sample Vial on Card. The vial is about 50% full - please see picture for actual fill line. 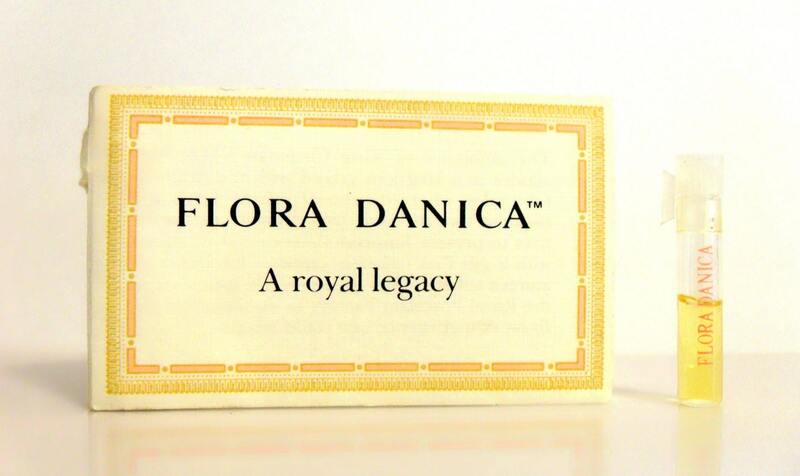 Flora Danica by Royal Copenhagen was launched in 1980. It is classified as a floral fragrance for women. The perfume notes of Flora Danica are comprised up of 284 flowers and plants indigenous to Denmark. It starts with an aldehydic top, followed by an elegant floral heart, resting on a feminine, powdery, woody base.